Here at Ardel Engineering & Manufacturing we like challenges. We specialize in making the “tougher” parts our customers need. This project involved the fabrication of an aerospace filter body with complex geometry and multiple features, and highlights the capability of our technical team to produce such complicated parts on a swiss screw machine. Normally, fabrication of an aerospace filter body with multiple features would require multiple set-ups on many different machines—by nature requiring a long lead time due to the change-over involved with multiple set-ups. However, Ardel’s experience and equipment capabilities allowed us to completely produce the part in one set-up on one machine. By using only one set-up we were able to reduce production time and still maintain tight tolerances. 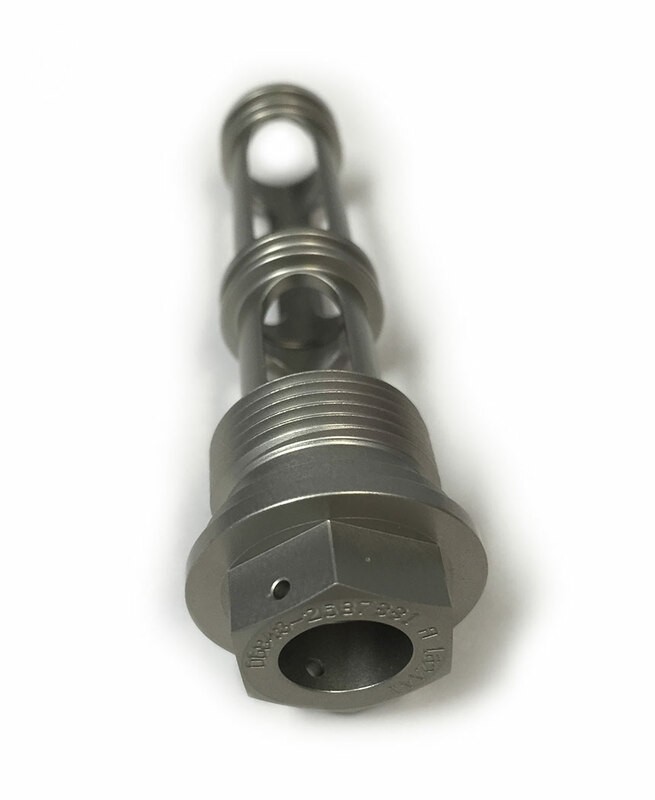 The finished filter body measured 3.5” in length and 1.25” in diameter, and was machined from 6061 T651 cold finished aluminum on a Citizen A32 Swiss Screw machine. The multiple features machined into the part required the use of all 29 tools that the A32 could hold. All dimensions had a total tolerance of 0.006” or less. The tightest tolerances were ±0.0005”. A great amount of skill was required to program the A32 to accomplish the machining of this part in only one set-up, but it was worth the effort because it allowed us to maintain the relationships between the parts’ multiple features much easier. Our experience in machining allowed us to recognize areas with difficult tolerance stack ups, set up the machining to avoid costly errors, and ultimately create the part with high fidelity. The complexity of this part and tight tolerance requirements were a fun challenge for our technical team. The filter body was anodized with a Mil-A-8625 Type 1 Class 1 clear finish in accordance with NADCAP (National Aerospace and Defense Contractors Accreditation Program). The final part went through a rigorous inspection and quality test that involved measurements from a Zeiss CMM (coordinate measuring machine), OGP vision systems, as well as hand gauges and pins. Within six weeks of starting this project we were able to ship 400 pristine parts to our customer. Ardel Engineering & Manufacturing was chosen to make this part because of our long standing relationship with our customer. 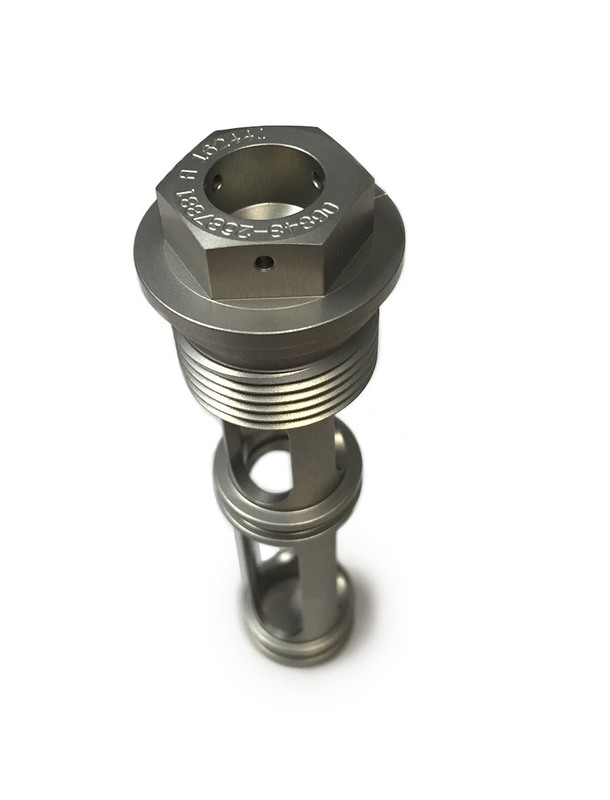 Because we have produced many parts with varying degrees of complexity for this customer, they knew that they could count on us to create quality fabricated parts in a timely and cost effective way. 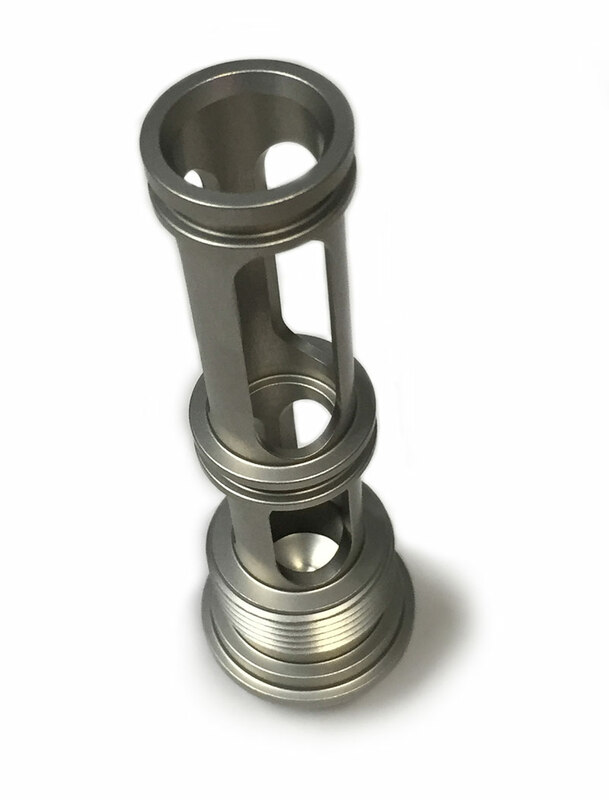 The customer was pleased with the part’s appearance, superb tolerances, and the cost savings we were able to offer them by completely machining the part in only one set-up. The complexity of this part is similar to the complexity of other parts we have made for the aerospace and communication industry. Contact us today to see how our expert manufacturing solutions can work for you on your next project.